This is my longest “best list” and I think you will realize why when you see how many classics are on it, books you have long treasured. But it might surprise you to learn that among those classics are also new bodice rippers. See the list HERE. Goodreads Giveaway for Rebel Warrior! 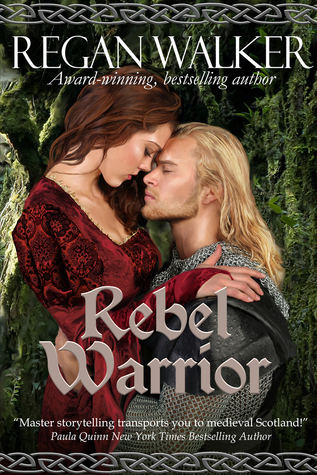 Enter to win an autographed copy of my newest medieval romance, Rebel Warrior, set in Scotland! Giveaway ends May 18, 2016. My first novel set in medieval Scotland, Rebel Warrior, book 3 in the Medieval Warriors series, has just been listed on Amazon as available for preorder! Set in 11th century Scotland at the court of King Malcolm Canmore, it tells the love stories of five couples, the main one being that of Steinar of Talisand and Catrìona of the Vale of Leven.